It's got quite a different feel to Joan's, but it's also got a different purpose - I wanted to capture the crazy fun of a birthday! I'm also linking this up to the Paper Smooches call for October's Guest Designer. I took advantage of the consistency of size and font of sentiments from different sets to create a multi-messaged birthday card. 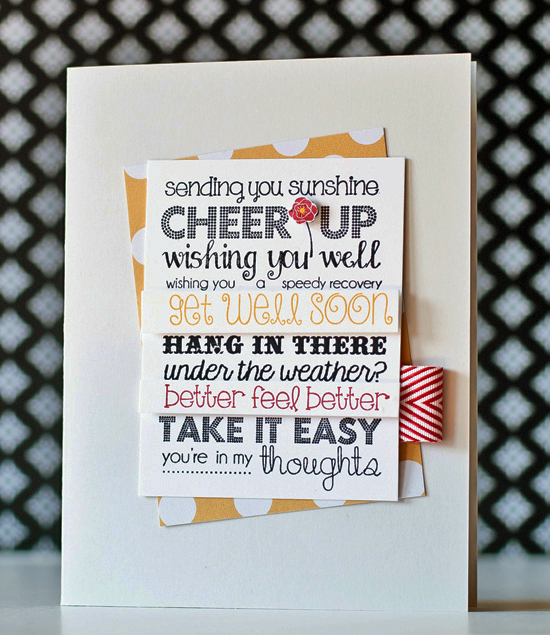 Fabulous mix of sentiments and I like the "zaniness" of tilting the sentiments at different angles. The stars in the background showcase the sentiments beautifully !!! Love how this turned out that you made your card out lots of words--fantastic! Fun! Fun! Fun! The colors, the stars and the big bold HB made me smile!!! 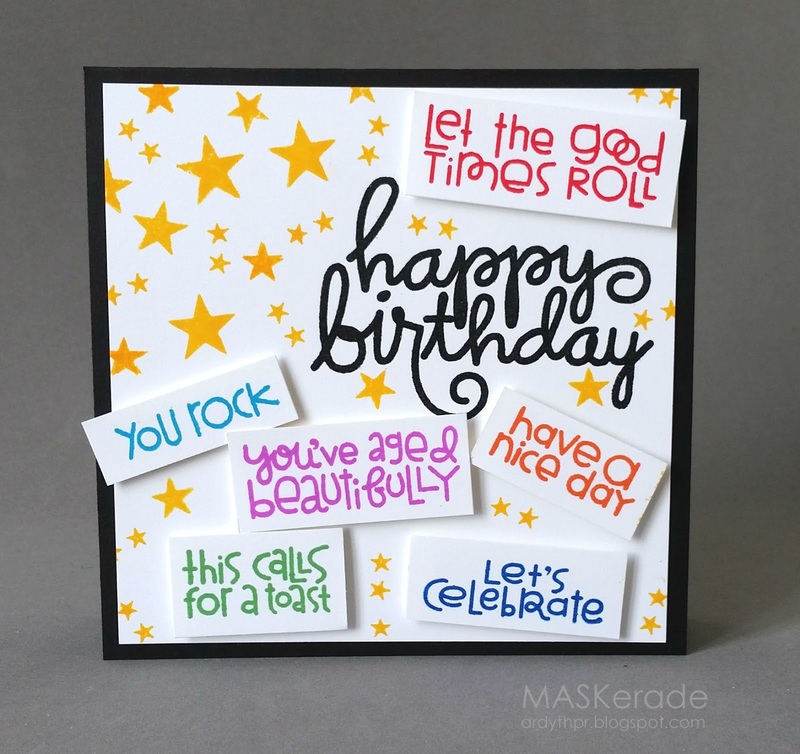 First of all, way to combine so many different stamp sets, and you definitely captured all the crazy fun a birthday can be! 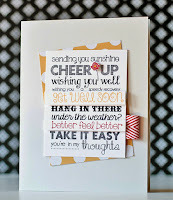 Festive and fun birthday card....love all the sweet sentiments. I look forward to your "inspired" cards -- I just love how they are totally different but you still see how you were inspired! Yup - you totally captured the crazy fun of birthdays! This rocks! so different than my card but so fun and I love when someone takes an idea and runs with it! You do color so well!!! Love how this came out!